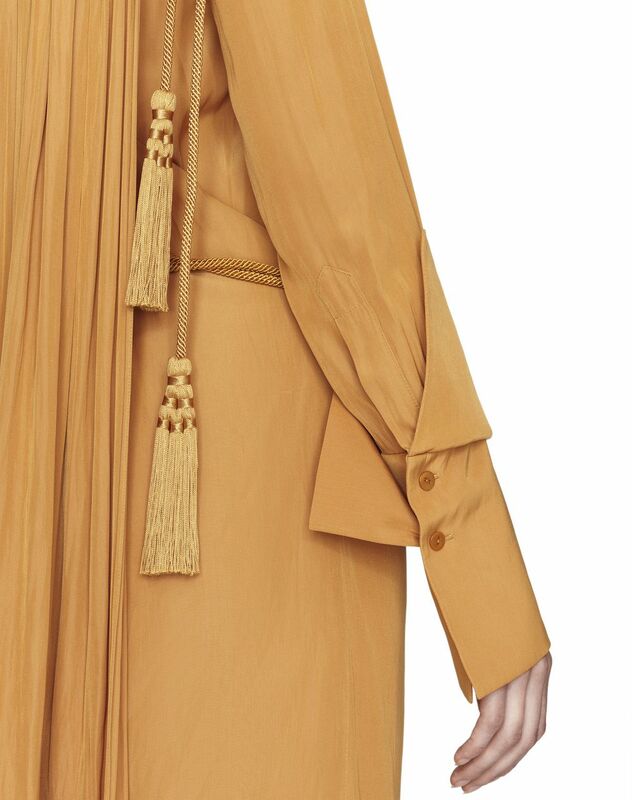 Mid-length gold satin dress, asymmetrical cut, long bishop sleeves with horn buttons, pleated armholes with adjustable cord and tone-on-tone tassel detail, V-neck and V-back, and asymmetrical neckline. This mid-length dress stands out for its satiny gold colour and the exceptional craftsmanship of its flowing yet structured cut. Exquisite draping sets off the exposed back for a sophisticated and refined silhouette. 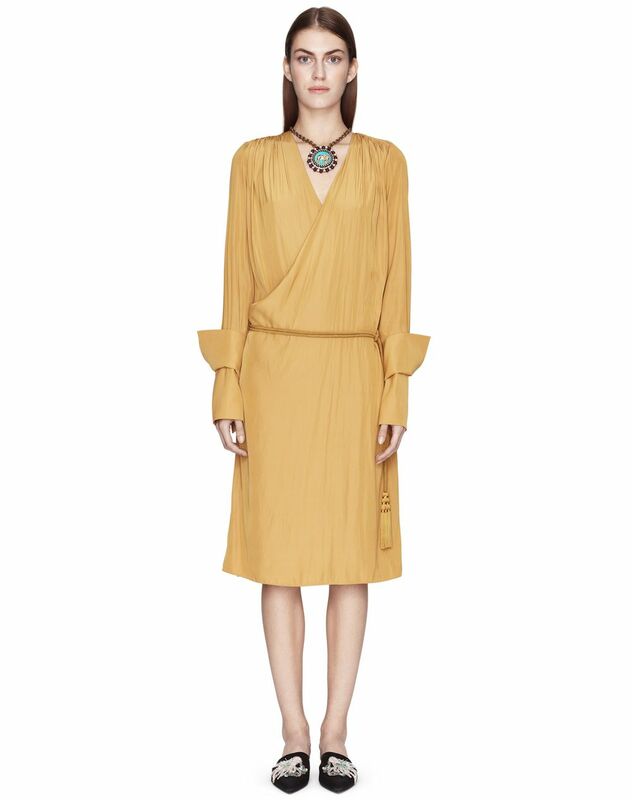 This dress, which can also be belted to emphasise the waist, is perfect for both day and night. Main material: 100% polyester weave. Model's measurements: Height: 178 cm Chest: 84 cm Waist: 59 cm Hips: 88 cm Model wears a size 4. Made in Madagascar.